Poppy seeds originated in the Mediterranean region and grows wild in eastern and southern Asia, and south eastern Europe. The poppy plant (Papaver somniferum) is infamous for numerous reasons, one of them being that it is the source of opium, a highly addictive narcotic. Countries still ban the cultivation and the distribution of this crop, but despite its notoriety, the poppy plant is also the source of one of the most loved pastry ingredients in the world: poppy seeds. 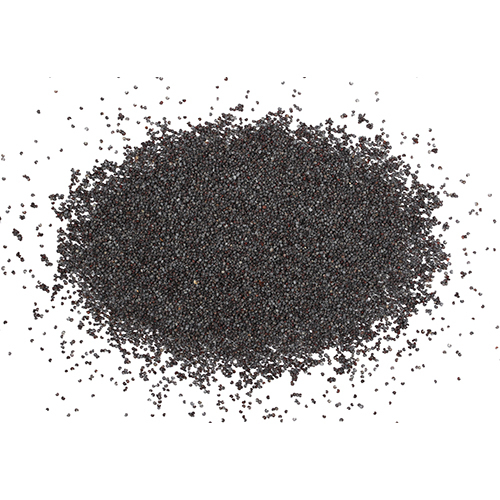 Poppy seeds’ flavor is often characterized as walnut-like, fruity and slightly smoky. While you might not think of poppy seeds as more than decoration for your bagel or salad dressing, the tiny black seeds prove that good things sometimes come in small packages. Poppy seeds not only have a mild flavor that makes them a welcome addition to a variety of dishes, but they also come packed with nutrients. Poppy seeds are mainly used in the culinary world for their crunchy texture and unique flavor. Poppy seeds can be found on everything from hot dog buns to pretzels, and poppy oil is commonly used in salad dressings, soups, bread and cakes. Poppy seeds are usually incorporated into recipes for scones, pastries, rolls and even main dishes. Sow the poppy seeds in spring or fall. Poppy seeds require a period of stratification in order to germinate, that means they need to be exposed to cold or frost before they’ll sprout. Poppies grow best in full sun, and can really be planted anywhere without too much shade. One of the easiest indications whether the seeds are ready for harvest is the rattling sound the pods give off when they are slightly shaken.